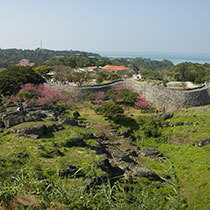 The World Heritage Site, Nakijin Castle Ruins.Nakijin castle ruins located in northern Okinawa will take you back to the 13th century as you once step through the gate. 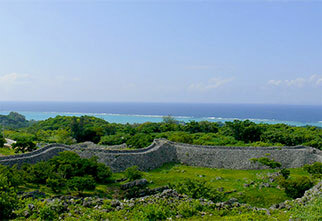 The site sits atop a mountain with the spectacular views of the ocean. 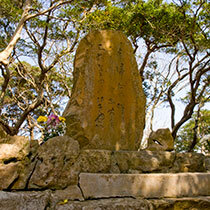 During January and February, you'll be able to see beautiful Hikan cherry blossoms. 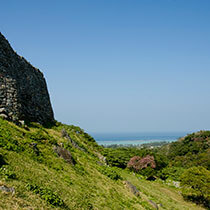 It is also famous for its architecture which is nearly the same as the Great Wall of China. 40 minute drive via Okinawa Expressway. Open daily *but, we might close a part of facility by a special reason without notice.